Quiet your mind and relax your body with our luxurious Small Silk Eye Pillow. This eye pillow is a soft silk (or choose cotton), and comes in a wonderful pallet of classic colors so you can coordinate with your other yoga accessories. These eye pillows have something special that many suppliers don’t offer…our pillows are filled with organic flax seeds! You'll find the soft and cooling shape will contour to your face with gentle pressure while blocking out light. The unscented silk eye pillow is shown here, but it the small silk eye pillow is also available with a lavender scent. 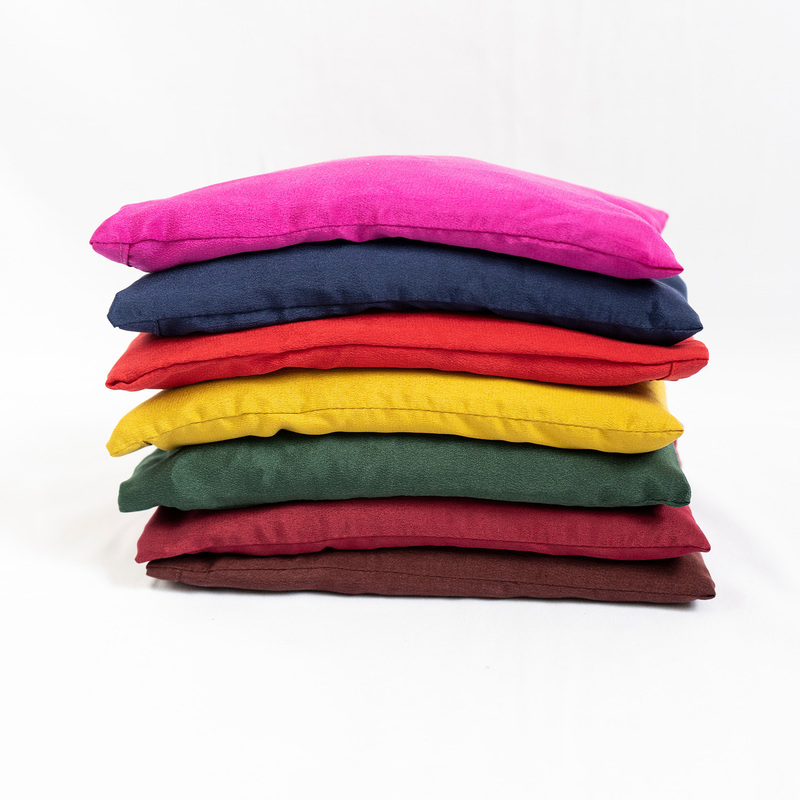 Perfect for deep relaxation and meditation, eye pillows are used to quiet the mind in many yoga classes. I have both large and small eye pillows. Buy the larger size they keep out the light better and offer a more supported feel. I have been using this Eye Pillow to get me to go to sleep. The size and weight of this eye pillow are just what I was looking for, and the cover is removable for washing. I love the 2 small silk eye pillows that I ordered. One is eggplant, and the other is forest green. They are a perfect weight on my eyes and a good size, so I will reorder these pillows when necessary. I love these eye pillows. I purchase a few every year to give as gifts to my new students in my kids' class. I love this eye pillow, but wish I hadn''t typed in the wrong item number and ordered the lavender scented one like I had planned. I think that it is really great that this eye pillow has a removable washable strong and durable cover. My old one didn''t and I had to get rid of it pretty quickly. This one I will have for a long time. I use this pillow everyday to relax. It feels great on my head and eyes and when I use it, it''s like the stress and tension just melts away. It smells great too. These are the best sleep assists ever. We have used them for 5 years and love the weight, smell, texture, and ease of closing out the light. Keep making them! They are winners! !